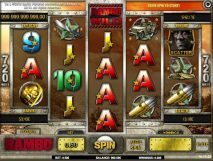 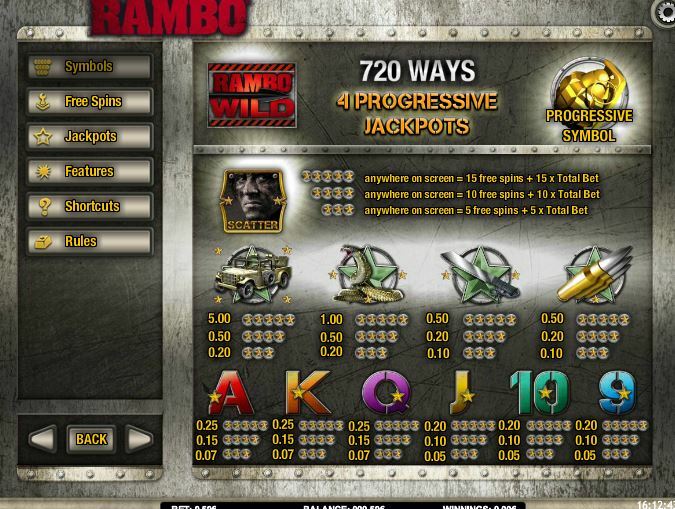 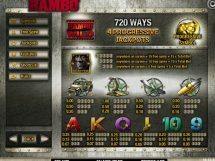 Rambo slot by iSoftBet is their unique 720-way game, with the same reel layout of 34543 as many IGT slots like Hexbreaker 2 and Netent’s Wild Rockets. There are 4 progressives triggered by special grenade symbols and Wilds can appear on the reels stacked. 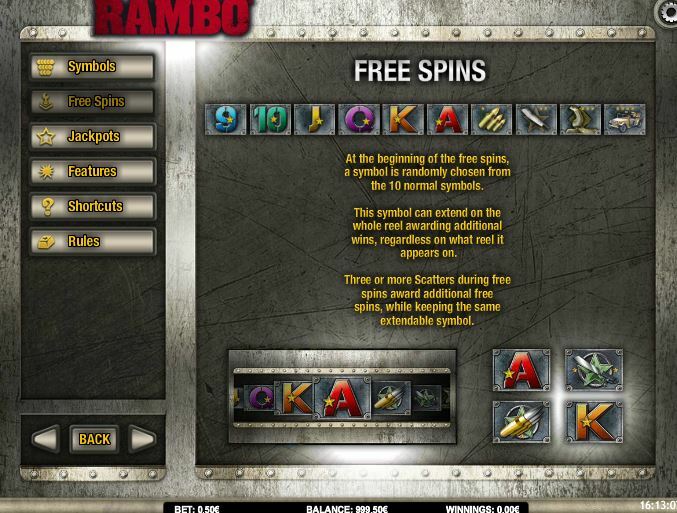 3 or more bonus symbols triggers 5 or more free games which get randomly allocated a symbol that can expand on the whole reel to give bigger rewards. 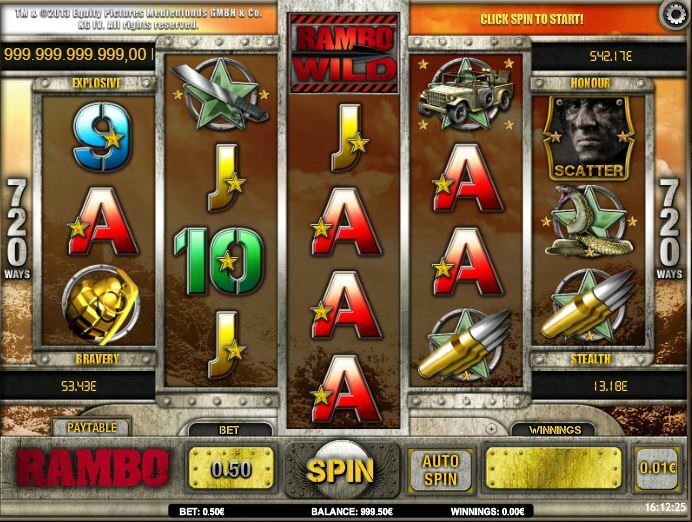 You can retrigger these spins. 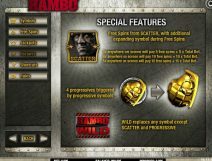 The RTP is 95.01%.